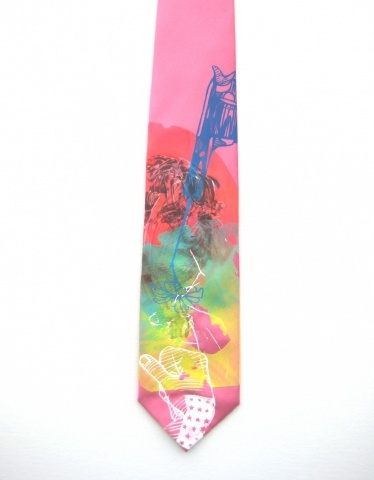 This tie is a mishmash of designs. There are five hand prints in total- you get everything in one shot. one of a kind my friends.